NYS state residents may purchase non-bayonet lug model that are compliant and do not need to be registered with the NY state police. Battle Grade. 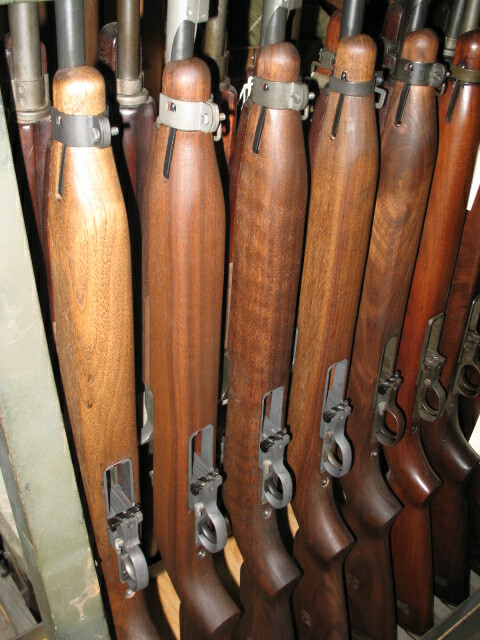 Genuine U.S. M1 carbines manufactured during WWII. No reproduction parts! Carbines in this grade have been thoroughly inspected for serviceability in our shop and then taken to the range for function and targeting. Bores, metal finish and wood condition are all good in at least 75% overall condition. Most battle grades exhibit late WWII features such as adjustable rear sights, rotary safety, and bayonet lugs. Non-import. These carbines show use but not abuse. A great opportunity to obtain a piece of WWII history and at very good price. Premium for rare makers in this configuration. $1,499.95-$1,699.95 In Stock! Service Grade. Genuine U.S. M1 carbines manufactured during WWII that have been thoroughly inspected for serviceability in our shop and then taken to the range for test fire. Service grades have many original parts and may exhibit more early and transitional period features. While many of these rifles could be correct or close to correct they are not original as issue like our “Collector Grade” carbines. 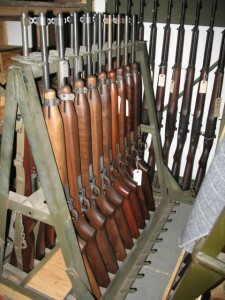 These rifles are in 90% condition or higher with excellent bores, metal finish and wood condition. Hard to find a better US carbine on the market. Premium for rare makers in this configuration. $1,999.95-$2,199.95 In Stock! Collector Grade. 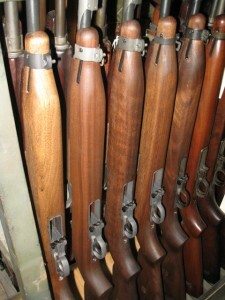 Genuine M1 Carbines manufactured during WWII that are correct as issued with all matching parts!!!!! 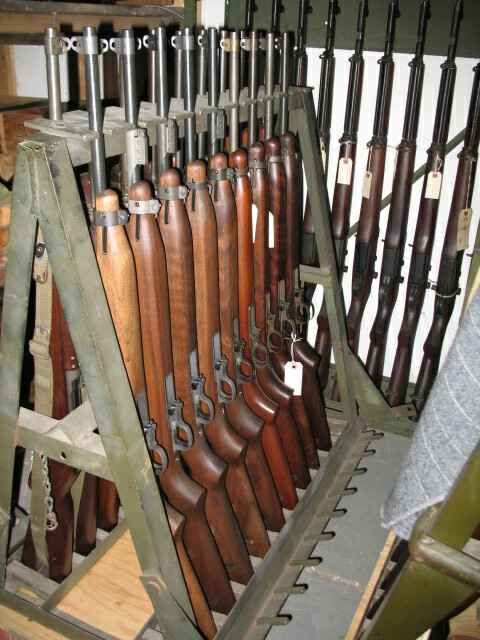 These guns are NOT cobbled together and NOT REFINISHED and are as they left the factory almost 70 years ago! These are mostly early featured guns with flat bolts, early narrow bands with no bayonet lug, 2 rivet hand guards, cartouched walnut stocks, and parts that you would expect from 1942 through early 1944 production. True collector guns. We can offer them to individuals and collectors who want only the finest available investment quality Carbines. Check our “Collectors Only” pages for current inventory or email Michael@M1Garand.com for additional manufacturers as we have plenty in stock! Service and Battle Grade Carbines come with one 15rd genuine WWII magazine ( only where permitted by law ), a quality commercial sling and oiler. 10 Round magazines will be supplied where applicable. 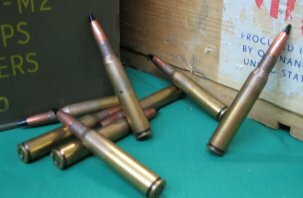 We try to reserve quality M1 Carbine ammunition for our customers who purchase one of our carbines. Inquire at the time of your reservation for availability and your special pricing. Please email for M1 Carbine ordering instructions or call us at 631 205 1299. FFL or C&R license needed or arranged through your local dealer who can fax his license to us at 631 205 0353. Transfer is simple. Payment can be made via credit card ( no fees ), personal check, bank check, or money order. $35.00 flat rate shipping on shooter grade rifles with a premium on collector grades.